DONE ~ Saturday, March 16, 2019, 1:30 pm – 4:30 pm in the Community Room of the Valley HI-North Laguna Library, 7400 Imagination Parkway, Sacramento, CA, 95823. ~ Monday, April 8, 2019, 7 pm – 8 pm Guest Speaker A. K. Buckroth about “Promoting and Marketing vs. Advertising Yourself with Your Books,” Sacramento Suburban Writers Club (SSWC), Crossroads Fellowship Christian Church, 5501 Dewey Drive, Fair Oaks, CA; http://www.sactowriters.org/. ~ Sunday, April 14, 2019, Northern California Publishers & Authors Book Awards Banquet, 5 pm – 9 pm, Cherry Island Golf Course, 2360 Elverta Road, Elverta, CA. “My Diabetic Soul – An Autobiography Revised Edition” was submitted for an award. ~ Saturday, April 20, 2019, 11 am – 4 pm, Earth Day “Celebration of the Monarchs” in the Armed Forces Pavilion, 995 Lincoln Way, Auburn; www.forgottensoldierprogram.com. ~ Wednesday, April 24, 2019, 2:30 pm, Guest Speaker in The Landing Retirement Community, Discussing T1D & T2D, 7125 Fair Oaks Boulevard, Carmichael, CA, 95608. ~ Saturday, April 27, 2019, 11 am – 3 pm, Local Authors Expo Panel Discussions in the Folsom Library, 411 Stafford Street, Folsom, CA, 95630; www.folsom.co.us/library. ~ Sunday, May 26, 2019, 1 pm – 4 pm, in the Community Room of the Carmichael Library, 5605 Marconi Avenue, Carmichael, CA, 95608; www.saclibrary.org. ~ Saturday, June 8, 2019, 12:30 pm, Guest Speaker A. K. Buckroth regarding “Children’s Literature,” with the San Joaquin Writers, University of the Pacific, 3601 Pacific Avenue, Stockton, CA, 95211; www.sanjoaquinvalleywriters.org. 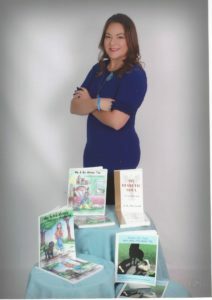 ~ Friday, July 12 – Saturday, July 27, 2019, The California State Fair Authors Booth, 1600 Exposition Boulevard, Sacramento, CA, 95815; Check appearance times at www.castatefair.org. ~ Saturday, October 12, 10 am – 4 pm, Great Valley Bookfest, The Promenade Shops at Orchard Valley (aka: Bass Pro Center), Highway 120 at the Union Road Exit, 280 Lifestyle Road, Manteca, CA. ~ December 8, 2019, TBD, St. Nick’s Breakfast & Bazaar in the cafeteria of the Presentation of the Blessed Virgin Mary School, 4123 Robertson Avenue, Sacramento, CA, 95821. Am awaiting a definitive response. ~ Saturday, December 14, 2019, TBD, 10 am – 4 pm, Preston Castle Holiday Bazaar, 900 Palm Drive, Ione, CA, 95640; www.prestoncastle.com. Am awaiting a definitive response. Known as a “Professional Diabetic,” author A. K. Buckroth has successfully and courageously lived with this disease for 60 years. She will be available to autograph, sell and discuss each of these award-winning books with dates, times, and places listed above. “My Diabetic Soul – An Autobiography Revised Edition” is available in libraries across the United States and can be ordered through your local library; also available as a paperback via Amazon.com, Audible.com, Kindle and Nook e-book formats. “Me & My Dog Named Money…a child’s story of diabetes, Book One” and “Me & My Money Too, Book Two, and “Kisses for Cash…T1D meets T2D, Book Three” are each easily available in paperback and e-books through Amazon.com. Each book is an illustrated chapter book, not to exceed 125 pages and informational for all diabetics and those who know and love a diabetic, no matter the age. Ms. Buckroth: Found My Diabetic Soul fascinating…then again, I would. Seemed almost autobiographical. I too developed diabetes…in 1959 (at age 6)…as did two of my four siblings (3 out of 5)…Novolog didn’t work for me, either…grew up in southern New England, among Connecticut, Rhode Island and Massachusetts…and spent seven years at Joslin from 1962-70…including two as a CIT. Any book that quotes “Abalaba, Gabalaba, Goombala Beesay” gets my vote. Thanks for writing it.